This was a man on the brink of a remarkable redemption, yet you sensed that fear of failure still haunts him. This is hardly surprising, given the fall out from the summer 2012 transfer window. I hesitated to reminded Ian of our first meeting in the September that year. When I did, I found he was surprisingly philosophical, pointing out that he had used the whole experience to drive him on to bigger and better things. “You learn far more from your failures, than you ever do from your victories,” he said, as he chugged on a ‘Gurkha Black Dragon.’ The aroma filled the room and I stifled the urge to cough. We chatted for a while about that day, two years ago, when our paths first crossed. I suspect it will live long in both our memories. I’d received a call from my editor the day before. He told me there was an opportunity to interview the then Managing Director of Liverpool Football Club. 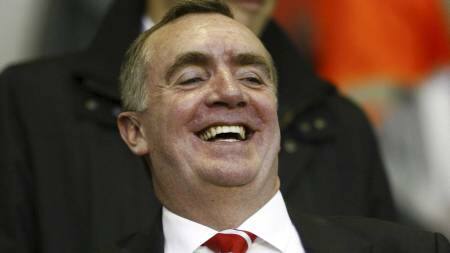 Ayre had wanted to set the record straight after a disastrous transfer window and my boss wanted his best man on the job. Of course I was flattered, but also a little apprehensive. The last thing I wanted to be was another media mouthpiece for the club. I’d seen what happened to others. We all know who they are. I have to say the address I was given, a converted maisonette in Deysbrook, West Derby, perplexed me a little at the time. Maybe, I reasoned, he wanted to meet me at some community outreach project. The club had many of them on the go back then. I had no idea it was his home. Summer was giving way to autumn, but the air was still filled with the buzz of flies. As I got out of my car a group of kids stopped what they were doing and watched me, as I struggled to climb over the urine-soaked couch on the front lawn. They laughed hysterically as I tripped over the rusty Lambretta, strewn across the path. It was a far cry from the Harley Davidson Ayre had once cherished. Eventually, dignity barely intact, I made it to the front door. I composed myself and rang the bell. I’m not sure what disturbed me most: the Mazerati chime; the egg stains on the Kimono; the look of utter demoralization on his face. He beckoned me in. The Ayre’s may have lost their luxury lifestyle, but they had lost none of their graces. Ian’s wife offered me a slice of arctic roll and a cup of Mellow Birds. I politely accepted. His was truly a tale of woe and, as he relayed his troubles to me, I was aware that something wasn’t quite right. It took me a few moments to realize what it was. This was all in the past though. The man sat before me in Chapel Street was a far different prospect than the dejected figure I met that day in Deysbrook. This was a man flushed with success and confidence. He had dropped each of Brendan’s first choice targets (except Sanchez) into his lap, carving out multi-million pound deals with the same finesse he used to slice that jammy desert all those months ago. I asked him if all this meant that the wolves had left his door and that’s when his face darkened once again. The ghost of interviews past reared its head and fear returned to his eyes. I turned my head and instantly recognised the smell. It had plagued me since I entered the office and it had only been partially masked by the cigar smoke. Now I realised, it was coming from the couch. Ayre’s voice went up an octave, “do you really believe I would keep that piss soaked sofa, if I really believed I was home and dry.” He explained that he kept the piece of furniture to remind him that, at any moment, all his reclaimed riches could be taken from him just as they were before. I nodded. “Yes, I see where you are coming from,” I said, before adding “and there’s the seven figure salary too. That must help.” Reluctantly he agreed. My time with Ian was coming to an end and I needed something to finish off the article. Ideally, I was after a transfer scoop, but a pearl of wisdom, or a message to the readers would suffice. Would there be a ninth signing? As expected he trotted out cliché’s about deals being right for the club. I was just about to switch off the recorder and bid him goodbye, when, with tears glossing his eyes, he gave me my final tag-line.